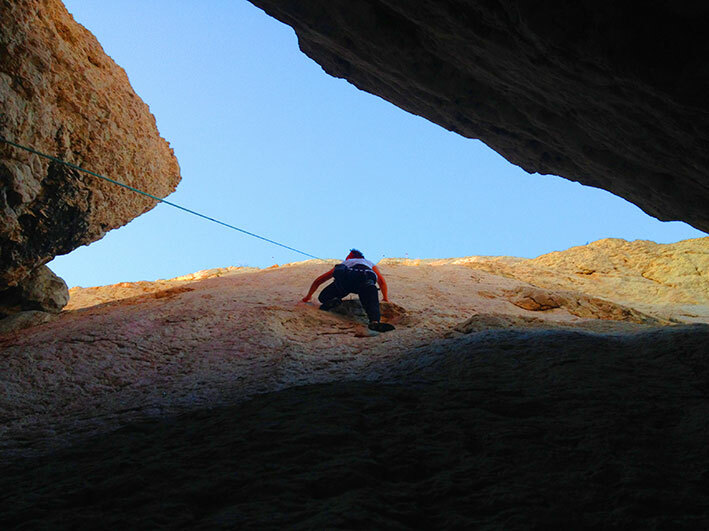 You may not have thought about it before, but rock climbing, like many other adventure-filled activities, can improve your life in ways you probably never imagined. In fact, we think it’s a life-changing experience and are not at all surprised that it’s attracting a constantly growing number of new climbers each year, especially to the National Park Paklenica and the Velebit mountain range which contain many of the most beautiful climbing spots in the world… The reasons for that are pretty straightforward – rock climbing is good for you and can make you both physically and psychologically stronger in a short amount of time. For instance, you only need to climb a couple of beginners routes in Paklenica to start feeling your arms and shoulders getting stronger and your balance and motor coordination improve. Besides, if you’re used to sitting down all day long and not being physically active, rock climbing will help stretch and relax your back muscles and firm up your core. Also, you’ll notice your hand grip becoming incredibly strong. But it’s the changes inside of you that will amaze you the most. Rock climbing in Croatia will build up your confidence, improve your planning and problem solving skills and, most importantly, make you more adept at handling stress in your everyday life. That’s because while on the rock you’ll often be challenged by more or less difficult, stressful and problem-filled situations which, with the assistance of one of our highly experienced ADV climbing instructors, you’ll solve and which will build you into a stronger person. And all the while you’ll be facing your fear of heights (it seems everyone has it) and having the time of your life. After completing the ADV beginners climbing tour in the National Park Paklenica, you can, if you’re up for it, take on your next big challenge – big wall climbing, also in Paklenica, which will test your skills to the limit.